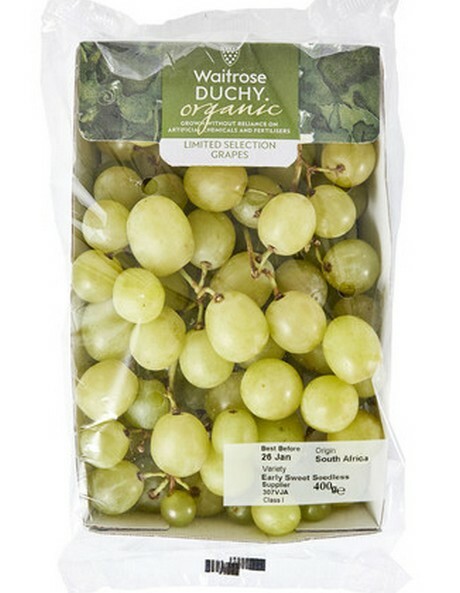 This week, Waitrose & Partners takes another step forward in its bid to reduce plastic from its shelves with the introduction of recyclable cardboard grape punnets which will replace traditional plastic punnets for its Waitrose Duchy Organic and Waitrose 1 Sable grapes. Waitrose & Partners is the first UK supermarket to sell grapes packaged this way. 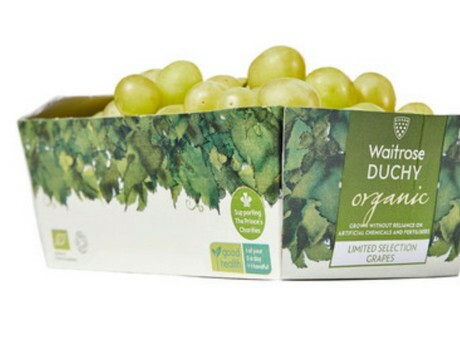 The move to a cardboard punnet for Waitrose Duchy Organic grapes is part of the Waitrose & Partners sustainable packaging pledges made to His Royal Highness The Prince of Wales to honour his 70th birthday in November 2018, and demonstrates the potential to move away from plastics whilst preserving the quality and freshness of the fruit. • We are determined to make all our own-brand packaging widely-recycled, reusable or home compostable. We will have identified solutions for all our packaging by 2020 and will meet our target by 2023. • 70% of the plastic in our own-brand product packaging is already widely recyclable. We aim to increase this to 80% by 2020 and 100% by 2023. • In 2019 we will work further with our customers to determine which plastic packaging can be removed without decreasing quality and reducing shelf life to make sure that we don't increase food waste. • We are replacing loose fruit and veg bags with home compostable alternatives by spring 2019 and will remove 5p single-use carrier bags by March 2019. • By Christmas 2020, our own label cards, wraps, crackers, tags, flowers and plants will either be glitter-free or the retailer will use an environmentally friendly alternative.